Aurora Theatre Company appreciates the dedication and commitment of the men and women in our Armed Forces and is proud to participate in Theatre Communications Group's Blue Star Theatres program. Blue Star Theatres is a collaboration between Theatre Communications Group and Blue Star Families. 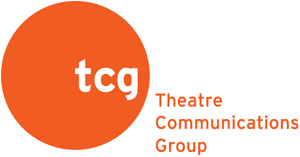 The initiative is intended to recognize the contributions of service families, to build stronger connections between the theatre community and military families in communities all across the country and to help to aid service people and their families as they seek to be integrated into the lives of their communities. Aurora offers U.S. military personnel, veterans, and their immediate families $10 OFF regular price tickets and 20% OFF subscriptions; please see our discounts page for more information. Tickets may be purchased online using the coupon code BLUESTAR, in-person at our Box Office, by phone at 510.843.4822.